We did the same analysis for the last year and found some interesting changes in 2017, which are explained below. So without further ado, here are the nine most in-demand programming languages of 2017. Ruby on Rails, which was number nine on our list last year, dropped down several spots to number seventeen. This may be caused by Ruby losing some of its market share to increasingly popular alternatives like Node.js and Go. 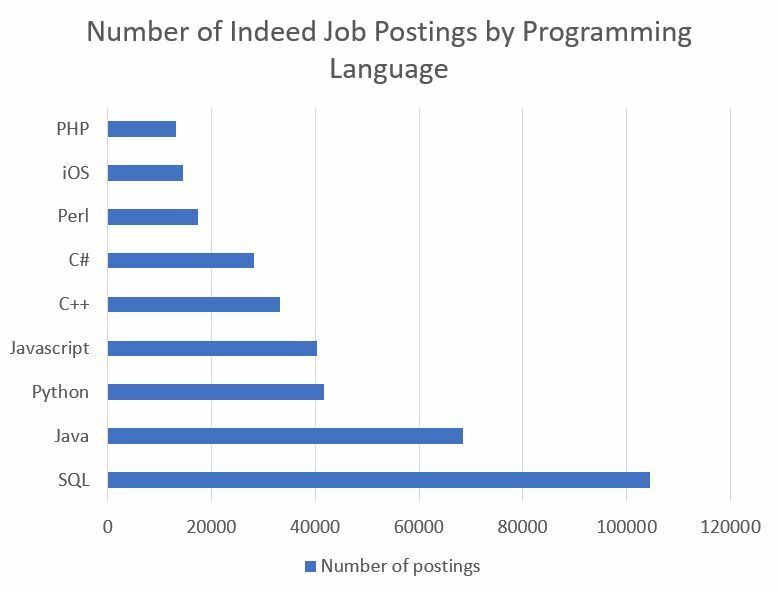 But that doesn’t mean there aren’t any jobs for it, or any reasons to learn Ruby on Rails in general. It’s still a popular language, just not as hot as it used to be.